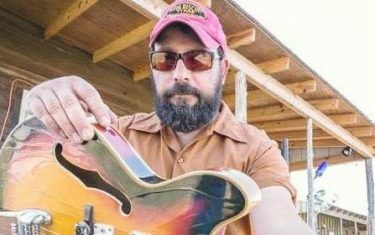 “Lazy Woman Blues” by Austin-based guitarist Todd Roth is an authentic and catchy track that makes his audience stop and listen. With an acoustic guitar that chugs along throughout the tune, coupled with Roth’s bluesy country tinged twang, it’s surprising that Roth has not received more attention in Austin. If you’re like us, one listen will get you wanting more. Thankfully, you can see Roth live at least once a week by checking out his two-month residency at Eden East every Friday from 7 p.m. – 10 p.m., beginning in March and going until April. Listen to “Lazy Woman Blues” below. If you would to read more of Lauren Gribble’s reviews, you can check out her website Listen Here Reviews.